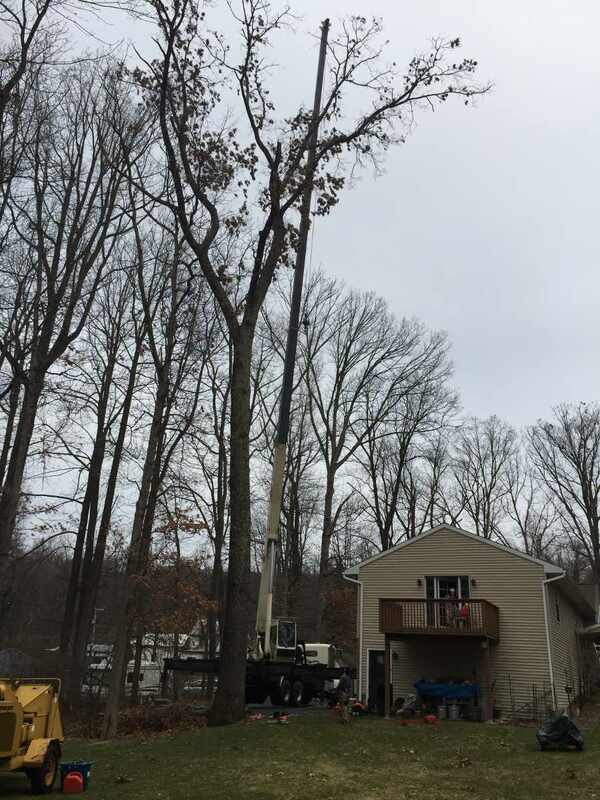 T&N Tree Naturalists handles all tree service needs. Trimming, shaping, and removal of all sized trees. Our experience and dedication to your property and family’s safety set us apart from the rest. Servicing Greater Reading Berks and Allentown Pennsylvania since 2001. Invest in preventative tree removal. Don't open yourself and your family to hazardous trees. Extensive experience handling insurance claims. Let us begin the process of putting your life back together. Do not worry. Call T&N Tree Naturalists to take care of the cleanup. Watch our tree service expert climb a tree and take it down from the climbers view. Climbing gear, chainsaws, and rope work are all shown off here. Our Allentown PA crew worked to remove six trees from a backyard in Bethlehem. Watch our tree experts take these trees down limb by limb! Our good friend The Crane Man decided to give us a visit. This monster of a tree stood at 120 feet boasting a 42-inch diameter base. However, this beast was not a match for the 165-foot Crane Man crane.